Protera is dedicated to empowering customers by keeping them competitive, confident, and empowering them to excel in the new global economy. flexible solutions to meet the needs of most types of organizations. Protera maintains four key pillars for Protera’s App Care and FlexBridge platforms that include a solid foundation of excellent service, delivery, processes and technology. Named Senior Basis Resources for each of our customers. Our team of skilled engineers holds a number of certifications if various areas such as migrations, cloud and hosting administration, SAP HANA, and application management. Service Offerings include: Managed services, AMS, IAAS, Cloud offerings, Free Migration Assessments, PoC and Migrations to HANA and Cloud offerings. Purpose built platforms delivering IT operational excellence. Fixed pricing including scope of work and SLAs. Protera AppCare Platform allows us to integrate private cloud, dedicated cloud and dedicated data centers, resulting in the ultimate flexibility in terms of services and cost effectiveness. Protera Technologies, as an organization, has been providing SAP expertise and services since 1998. Not only is our SAP expertise unmatched by other providers, but also the way in which we became a total IT Outsourcing provider further separates us from the pack. While most providers are startup organizations artificially created to offer Outsourcing solutions, Protera has built on past implementation experiences and successes to evolve naturally into a total IT Outsourcing provider that understands the importance of SAP in the center of a client’s IT resources. It is this evolution that makes us better prepared to be the right partner for you. SAP Hosting Services | Cloud Services| Mobile Operations Services | SAP HANA Operations Services | Application Management Services | Global Hosting. 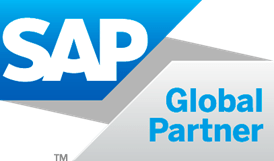 Protera is proud to be one of only a handful of global SAP partners with 5 certifications. To view Protera’s complete SAP certifications visit SAP’s outsourcing guide.